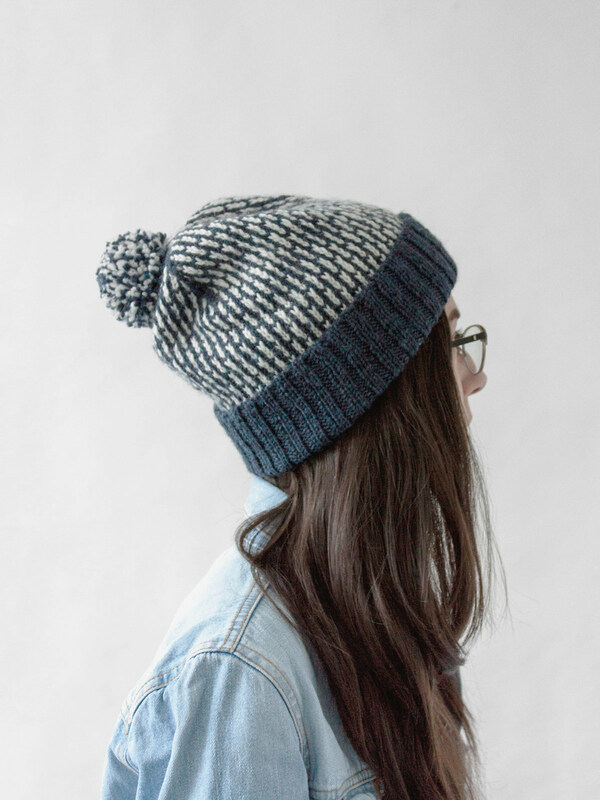 A colourwork hat covered in little dashes. The stitch pattern is easy to memorise and perfect to customise. Choose a high contrast colour combination for a big impact or go for a low contrast, subtle look. The crown shaping is made visible for an extra detail. Available in 7 sizes, make one or make a bunch. Tubular cast-on, knitting in the round, stranded knitting, decreasing in colourwork pattern (crown shaping is not charted). Use these colour pickers to try out different colours for your Dashes hat. Don’t forget to take a screenshot or print this page if you want to keep your combinations.